We are proud to present the UK’s leading collection of beautiful & prestigious wedding vehicles to hire ranging from the most luxurious modern wedding cars through to the 50’s & 60’s classic cars and way back to the age of vintage motoring elegance of the roaring twenties. 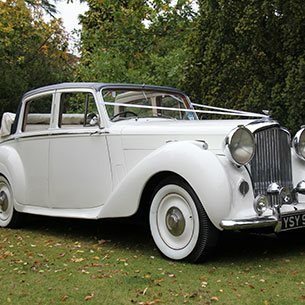 We have a selection of Oxfordshire based Vintage and Classic wedding transport such as Rolls Royce, Bentley, Jaguar, Beauford, Wedding Buses including the famous London Routemaster, American Stretched Limousines, Volkswagen Campervans and other unique, rare and unusual types of bridal vehicles for hire in Oxfordshire. The county of Oxfordshire is known for its beautiful countryside and historic houses and will provide you with inspiration for your wedding day. The south of Oxfordshire is right on London’s doorstep and is home to the towns of High Wycombe, Beaconsfield, Marlow, Wallingford, Henley and Amersham. If you are travelling North of Oxfordshire you will find Aylesbury Vale with its enchanting villages, market towns, magnificent country houses, lovely thatched villages such as Great Tew and great houses such as Broughton Castle and Chastleton House near Adelstrop. Dotted around all the stunning countryside and villages you’ll discover charming places and country style romantic wedding venues. 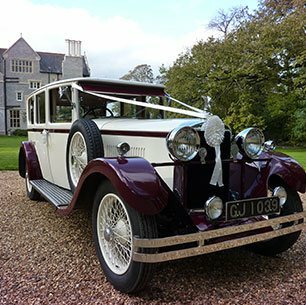 Whether it’s Vintage, Modern or Classic Wedding Cars you require to hire Premier Carriage has the finest collection of Wedding Cars Oxfordshire can offer. 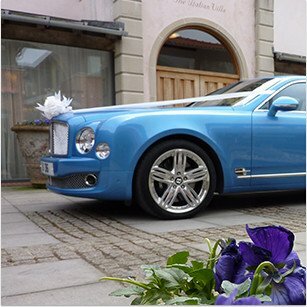 We are happy to arrange private appointments for you to view any vehicle and all of the wedding cars shown on our website are the actual vehicles provided for your special day and come dressed with ribbons and all vehicles are chauffeur driven. Although our wedding vehicles will travel long distances and across counties to reach your Oxfordshire wedding and our prices are amongst the most competitive in the industry, to keep your Oxfordshire Wedding Car Hire costs as low as possible when browsing through our portfolio look for Wedding Transport based in Oxfordshire, but do also check vehicles from close neighbouring counties. 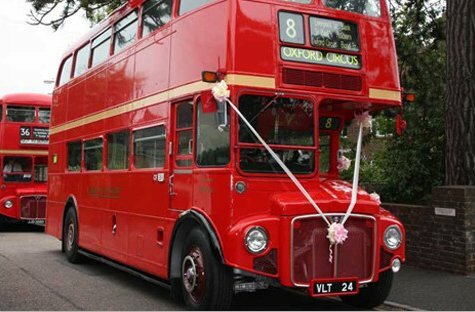 Whether you are looking to transport the Bride & Groom in one of our classic or vintage wedding cars or all of the bridal party in one of our Wedding buses, or maybe keeping to a fixed budget is the priority we aim to make your special day classic and one to remember with the car being the transport of your dreams. Our attention to detail and our outstanding customer service has made us the leader in Wedding Car Hire planning. Choose the premier wedding car hire service and let us show you why we’re Premier.